This practical book, with its clear and accessible style, will be useful to many teachers, whether trainee, novice or experienced, in a variety of contexts. 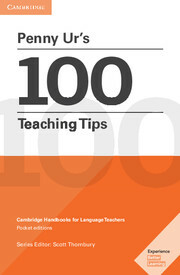 It provides a set of 100 hands-on tips on 19 different areas of classroom teaching, including using a coursebook, giving and checking homework, classroom discipline, testing and assessment. The clear and concise advice is accompanied by brief explanatory notes based on the author's extensive teaching experience. 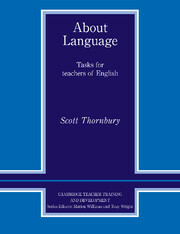 This book raises the issue of what a teacher needs to know about English in order to teach it effectively. It leads teachers to awareness of the language through a wide range of tasks which involve them in analysing English to discover its underlying system.